It has taken us thirty years to put all the right facilities in the right place ready for growth. 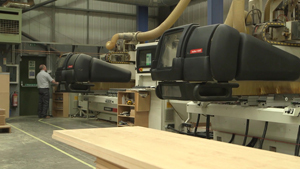 At the heart of the business and a major strength is a fully integrated production facility, we have all of the equipment in our factory for working in hard and soft wood, sheet wood, steel tube, laminate, plastics, sheet metal and precision engineering. • Wood Machining – to cut, drill, laminate, shape and sand the wood sheets and laminates. • Polishing – to sand, stain and varnish panels and components into fully finished items ready for assembly. We also produce the Ambic signature polished bullnose waterproof edges here. 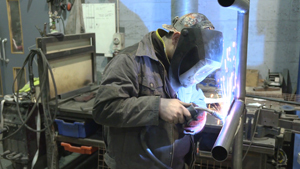 • Welding – using lengths of steel tube which are cut and welded into substantial frames for furniture, tables and desks. 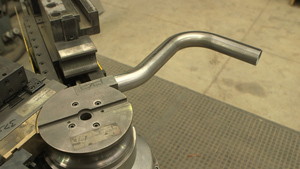 With the latest CNC tube bending machine producing smooth rounded furniture without sharp corners. • Sheet Metalwork – flat sheets of steel guillotined, formed and fabricated into metal components to manufacture our furniture and improve strength and rigidity. 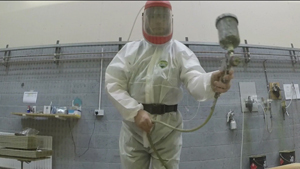 • Powder Coating & Painting – used to produce a hard wearing durable finish. This in-house facility enables us to meet delivery schedules and allows us to maintain its quality standards. 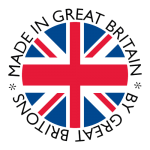 • Precision Engineering & Tool Making – supports the factory manufacturing equipment and produces bespoke precision components. • Sand Blasting – renovation of metal items from customers, which we can then powder coat. • Vinyl Cutting – in-house facility to cut out vinyl animal shapes, plant shapes and lettering. • Stores – stock of furniture components, building, plumbing, drainage, plastering, decorating, flooring, ceiling and electrical materials. • Assembly Area and Installation Teams – all our furniture is delivered fully assembled either in-house or on site by our fitting teams. Supported by our fleet of ten vehicles covering England, Scotland and Wales. • Solid Grade Laminate Fabrication (Trespa) (Corian, Staron) – produces toilet cubicles, wet areas, food server counters, laboratory furniture, solid Surfacing fabrication and high specification installations. We also have the capability for Plastics Fabrication (Perspex, Polyethylene, PVC). Our products are designed and manufactured from a multi-disciplined precision perspective giving consideration to all aspects of performance to incorporate the strengths of each trade thus eliminating problems as compared to products created by fragmented manufacture or by the dedicated trades of a welder or by a joiner or by a painter. It is no coincidence that the skilled workforce has been brought together and that they are competent in all operations. The company is firmly established with a close knit team who work with efficiency and confidence in the environment that has been established. The traditional skills are firmly in evidence in manufacturing as are apprentices to the master craftsmen we employ who drive the business, and it is these men and trainees who are the seed corn of our future. The factory building was designed and built from the shop floor up to be sustainable and incorporate the best aspects of modern production and manufacturing. We now have a single span building of 24,000sq feet (2,400sq metres) on a five acre site with exceedingly good access to all four faces. 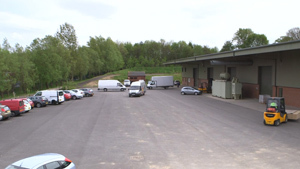 The building also benefits from extensive expansion capacity, major external storage, and vehicle manoeuvring area. The building was concieved to be an expansion base with the entire infrastructure to support a factory several times larger incorporated into the factory site to supply electricity, sewerage, water, parking, etc. The interior layout eliminates cross contamination between departments whilst allowing easy access. We have created a state of the art modern manufacturing facility with up-to-date woodworking machines and machine tools incorporating; overhead cranage, mechanised loading facilities, reduced man-handling in a clear, clean, well-organised working environment.